When it comes to picking the right Realtor, Tom Gilliam has 18 years expertise and takes pride in every single home buyer or home seller's experience in working with him through the home buying or selling process. Being with RE/MAX Classic throughout his career as a Professional Realtor, Tom Gilliam strives to exceed his clients expectations. Located in Farmington Hills, Michigan Realtor Tom Gilliam knows the markets in all of the Oakland County, Michigan areas, including Novi, Northville, Plymouth, West Bloomfield, South Lyon, Royal Oak and Ferndale to name a few. Realtor Tom Gilliam also grew up in Wayne County, Michigan and serves Livonia, Southfield, Canton, Metro Detroit and other great places to live in Southeast Michigan. Realtor-Tom Gilliam continues to remain educated in all aspects of the Real Estate profession, being from Ford Motor Company as a Project Manager for Ford Systems Training and having his Bachelor's Degree in Business he knows the importance of learning and staying on top of his education. Realtor- Tom Gilliam is certified as an SFR (Short Sale and Foreclosure Specialist), ABR (Accredited Buyer Representative) and SRES (Senior Real Estate Specialist). 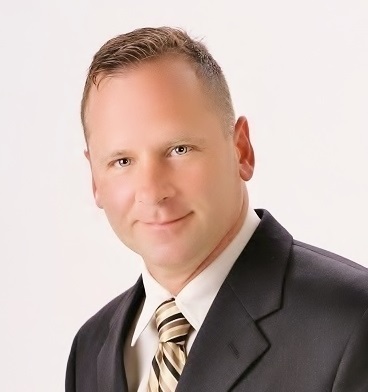 Realtor Tom Gilliam is also a member of the Farmington Chamber of Commerce where he supports the community and surrounding areas in Oakland County, Michigan. Being a member of the National Association of Realtors it is important for Realtor-Tom Gilliam to represent his home buyers and home sellers with the utmost respect and courtesy. The fiduciary duties in which is mandatory for all Realtors really hits home with Realtor-Tom Gilliam and shows in his past current and future representation as your Realtor. Although technology has changed the way home buyers and home sellers begin the process of buying or selling a home, Realtor-Tom Gilliam knows that there is nothing that can replace the personal interaction that he gives to all of his clients with staying in constant contact throughout his transactions with his home buyers and sellers. If you're looking for personable Real Estate services, Realtor-Tom Gilliam with RE/MAX Classic should be your Realtor of choice as he knows that simply putting a FOR SALE sign in your front yard and placing it in the MLS is simply not sufficient in this day and age of technology, it takes Social Marketing, Education to your clients, great promotion, personable service and an awesome team to get the best deal or the best price possible.